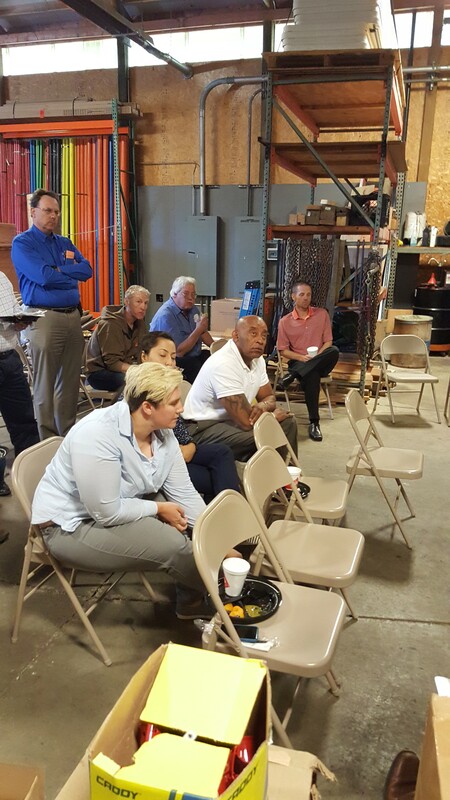 On Tuesday June 27, Pepco employees Brian Goldfarb, Karl Weeber and John Pedone and MarTek Rep Justin Gaull visited Lake Erie Electric to introduce the MarTek product lines Chicken Switch, LongArm, and RackTek, as well as the arc flash safety tools to their employees during a "Lunch and Learn" presentation. These switches allow the user to remotely operate and rack a variety of brands and models of breakers and disconnect handles in high power applications. The switches offer an option beyond the limitations of PPE (Personal Protective Equipment). Pepco is the first and only distributor of MarTek in Ohio.